Industrial Knee Pads - Durable and Comfortable | Durakneez | EZ Knees Kneepads Ltd. Manufacturer: EZ Knees Kneepads Ltd. These incredible kneepads have been masterfully designed to provide the protection and comfort that every professional is looking for. Durakneez kneepads are superior in not only their design, but in the quality and combination of materials to provide the ultimate in knee protection and safety. 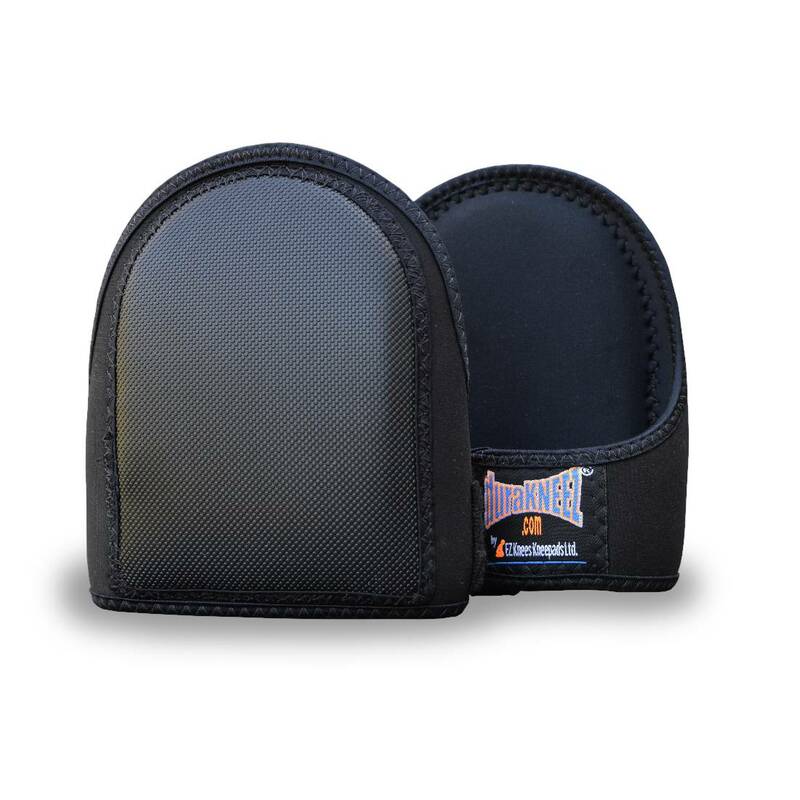 Inside these kneepads is a padding that provides superior impact protection, comfort and durability. This light weight, unique material has outstanding shock absorption and is being used in Military, Sports and Industrial applications. The US Military uses it to reduce impact in their armor vests and helmets and NASCAR is using it to reduce vibration in their Drivers seats. Pretty impressive stuff! The unique design includes a non-binding single strap that is easily secured at the top of the calf. You can kneel on rocks, nails, concrete and be amazed at the painless protection and incredible comfort they provide plus the outstanding way they perform. Inside or outside, these kneepads cover any terrain with ease. The NON-SLIP, abrasion resistant material on the outside of both the Industrial FULL zone and the Garden ROUND zone, give added protection and stability. The Industrial kneepad has an additional feature to the FULL knee zone which has a stabilizing soft rod material that we refer to as ROLL CONTROL. This helps stabilize the knee and keep it in the knee zone no matter what you’re doing. These kneepads were made to conform to your knee so you can kneel, crawl, walk, and move around freely, comfortably and hassle free. To clean, just hose them off, dunk them in a pail of water or gentle cycle in the washing machine and hang dry as required. Durakneez Kneepads are hand crafted in beautiful British Columbia, Canada. Be Knee AWARE – wearing kneepads can help prevent injuries and keep knees healthy longer.